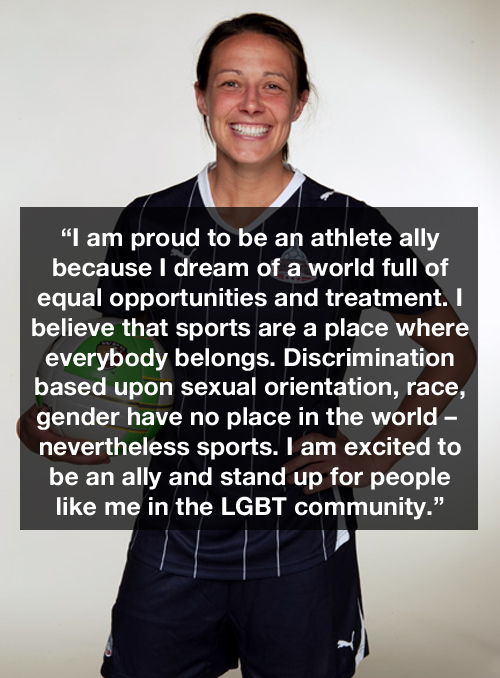 Athlete Ally is an organization that aims to eradicate homophobia in sports and today it announced that several professional women’s soccer players have voiced their support. One of the players, the Western New York Flash’s Sarah Huffman, quietly came out as part of her statement on the site. Sarah (who is called Huffy by friends and fans) is 29 and is a Midfielder for the Flash. Posted July 27th, 2013 & filed under News, Sports.